Download and print out your own Photo & Video Cheat Sheet! It’s a quick reference card that will help you set the right camera settings for perfect creative control. Click here to download. I did a video tutorial about how to use this cheat sheet and learn to operate any camera. You can watch it HERE. 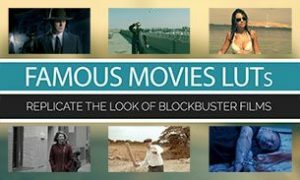 I have made available – free of charge – three different LUTs that you can use in your videos to instantly get that classic “film look”. They are very easy and fast to use. If you have not used LUTs before, please watch my tutorial on how to use them here. 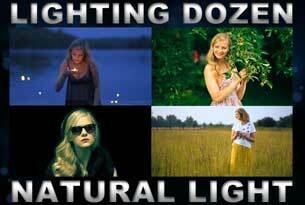 Click here to download the Tom Antos Film-Look LUTs! 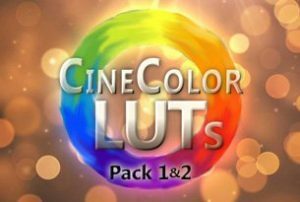 If you like using these free LUTs, then please support what I do by purchasing my CineColor LUTs, which will give you forty awesome cinematic looks. If you own the URSA Mini 4.6K and like the maximum dynamic range of the film LOG profile, but don’t like its flat and colorless look, then this LUT is for you. The LUT converts the color space to bring back all the colors without any shifts, but do it without decreasing the dynamic range of the footage (which is what happens when using the standard Film to Rec709 LUT from Blackmagic Design). You can download it here. I created a custom LUT for converting Panasonic V-Log L to the standard Rec. 709 video (.cube file). I also have another version of this LUT (.vlt file) that you load onto your Panasonic camera. This way you’ll be able to view your shot in normal video, while filming in the flat profile. More info about these LUTs (and my custom GH5 settings) here. You can download the LUTs here. 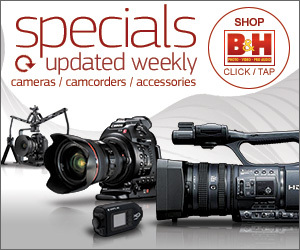 Various standard aspect ratios in 4K resolution, 4K UHD, 2K & Full HD. Simply put it on top of your footage to get the proper widescreen aspect black bars on top and bottom. Click here to download. Here are the hand drawn animations that I did for my YouTube film “Cartoon Wars” which you can see here. If you use this in your productions, please share your final results with me and others on my Facebook page. Here is the flat picture style preset I use on my Canon DSLR’s. This is what I shoot with on most of my projects so that I have the most flat possible looking image which allows me to adjust the colors further yet get more latitude out of my images.